Shafferan Sonneveld, graduate of 2011, has put her Global Studies skills to work as a Research Officer in the Tribunal Services Branch of the Immigration and Refugee Board of Canada. 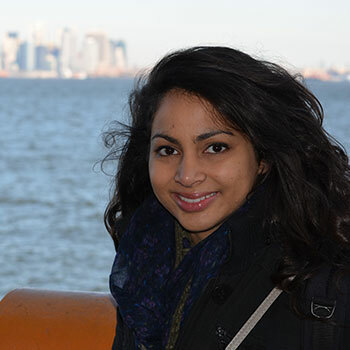 With a degree from GS and experience from post-graduate internships, Sonneveld researches and writes reports on a broad range of topics relating to the social, political, economic, and human rights conditions in the home countries of refugees. Sonneveld notes how the GS department’s encouragement to acquire field experience played a key role in her decision to complete a co-op placement with a local organization supporting immigrant and refugee women. With the department’s support, she was also able to do internships at Project Ploughshares and at the South African Human Rights Commission.